Foundation has always had their own style of graphics. Bold yet sketchy. Precise yet a little photocopied and zine. 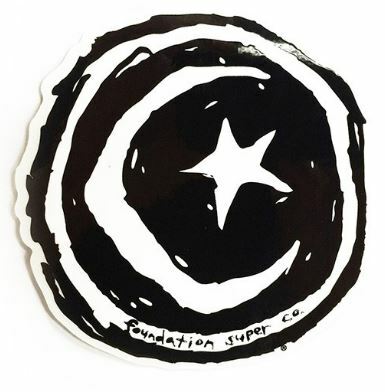 Foundation Super Co. started in 1991 by Todd Swank. A former Transworld Skateboarding photographer and vert skater. Born out of the World Industries warehouse. Foundation is a good scraping the bottom to stay in business story. Still in skateboarding 20 years later. Keep it coming!